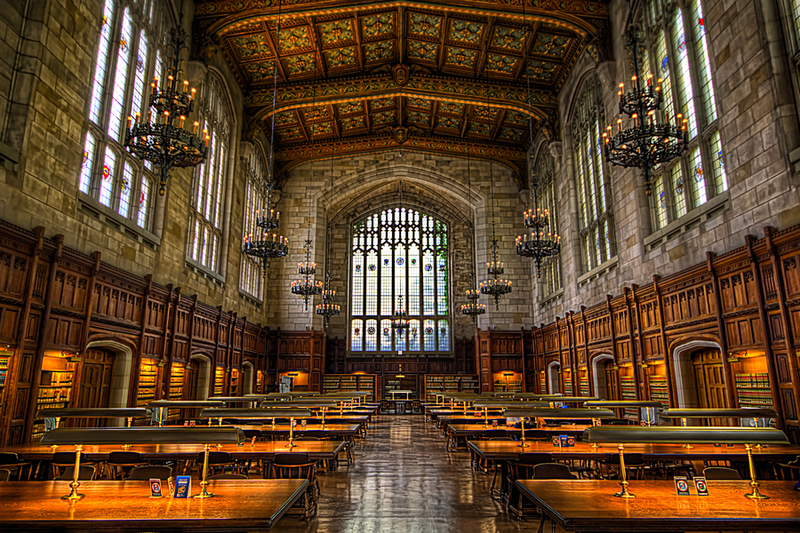 I didn't attend University of Michigan's law school, but they have the most beautiful reading room. For me to continue discussing my finances, I almost certainly need to disclose my profession. Although law school is not the only type of crazy student debt professional school in the game in the US, the financial details associated with each program (JD, MD, or MBA) are unique. Being clear is probably necessary if I don't want my posts to be vague to the point of being borderline misleading. I get a little shy about these details sometimes because weird things sometimes happen to (generally women) law students in some internet spaces. I chose law school knowing I had to go to the highest-ranking school I got into in order to easily obtain the private sector "biglaw" job required to pay for the endeavor. My $75,000 scholarship was an extremely pleasant surprise, and average scholarships for applicants with my qualifications have likely increased to closer to ~$90,000 because of certain application trends, though as you'll see, that doesn't take you far if you're not careful and/or don't have outside financial support. Lower-ranked schools actually gave me significantly smaller scholarships and would have been more expensive. Attending law school in the US is extremely expensive. Add on the costs of living in NYC to my relative financial irresponsibility, and well, the cost of attendance was right around $86,000/year, inclusive of living expenses incurred during summer internships. I offset that with my scholarship and roughly $12,000 savings from two years' work (thanks to free housing and tax advantages from being abroad). I also earned a pretty penny and received a generous tax refund after one private sector summer internship. Some of my internship income and the tax refund were, however, needed for post-school expenses such as my recent move. Despite my scholarship, savings, and income, I took out $165,000 in unsubsidized federal loans (the only kind available), on the very high end of average. Interest rates are standardized, and interest accrues continuously (but is not capitalized into the principle) while the student is in school. With interest rates ranging up to 7.9%, my total grew by ~$13,000 by the graduation and then another $2000 or so in the months before starting work. I'm fairly certain this list of law schools with the highest average indebtedness does not count interest accrual in school, but if not, more of my peers have considerably more familial financial support than I could ever imagine. My total student loan balance, law school and undergraduate included, is actually a little more than the $180,000 resulting from the calculations above: I have under $10,000 in undergraduate loans that could have been reduced if I had been more of an adult while working, but the interest rate there is 5% with none accruing while I was in school. My law school balance indicated above may neglect some of my law school Perkins loans too, but those are tiny, at 5% interest, and did not accrue interest in school either. 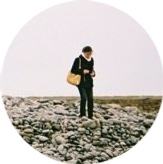 * I had a financial safety net in the form of financial assistance from my mom. I accepted no cash gifts outside of her paying our cell phone family plan and one $150-ish max reimbursement for a clothing item per birthday and Christmas, all of which I'm grateful for. She extended me a $700 interest-free loan when things got a bit dire before my private-sector internship, and I immediately paid her back in full after my first paycheck three weeks later. Having any kind of parental safety net is a massive privilege no matter how it is utilized, so it is important to mention. There's a few ways to approach loan repayment with a balance like that. If you go private sector, (which demands sky-high LSAT scores, prestigious law schools, good grades in law school, and some combination of interview skills and luck) you probably want "biglaw," which makes it feasible and cheapest to pay off the entire balance. This will take me around seven years (six and a half if I was making my planned $3000/month payments, which I'm not quite ready for) potentially reducible to five years with refinancing, though the attendant risks and reduced career flexibility forecloses that option for now. Salaries and bonuses are super-standardized, and salary negotiation is impossible. When doing my calculations, I didn't factor in yearly raises and increased bonuses. This makes some sense. As I reach 30, I might have other reasonable financial goals that don't allow me to put the entire increase into loans. A percentage of attorneys also leave biglaw around the three to five year mark, though I plan to remain as long as I can. Because there is a range of options: in-house, government, smaller firm, etc., it is difficult to pinpoint what salaries one can safely expect. One of my career moves, a short-term fellowship-type gig commencing next fall, might extend my repayment due to a significant pay-cut, but I'm still hoping the bonus I get after will allow me to remain on schedule. My calculations also assume a fairly luxurious lifestyle: you know how much I shop and that I travel. Yet it's a lifestyle with constraints. My budget leaves no room for a fancy gym membership, I don't partake in nightlife, I'm using an almost two year old iPhone 5C (free with contract renewal) that I hope not to replace until late 2017, I never take cabs if the firm's not reimbursing, all my furniture is IKEA, and so on. This is not to say that public sector careers, where salaries might never allow for full repayment of that scary six-figure balance, are off the table. Most schools similar to mine have programs to heavily subsidize and eventually forgive student loans for those who work in qualifying public service jobs for at least 10 years. For federal loan holders, there are also government programs that should eventually result in forgiveness of the remaining balance after 10 years (public service via PSLF) or 20 to 25 (potentially for all income levels via IBR or PAYE, but this won't be the most economical course for those who end up at higher income levels, at least without a complicated tax and investment strategy). I don't know much about IBR, PAYE, and PSLF, except that there's two risks to be aware of: (1) it could disappear (if the US government shuts it down) and (2) possible unknown tax consequences when forgiveness occurs (debt cancellation is sometimes taxable as imputed income). My description above should establish that law school is not a decision to be made lightly: It's heinously expensive, and my financial picture assumed that many best case scenario-type events occurred: Getting into an excellent school, a decent scholarship, good grades, the market holding steady so it wasn't hard to get a job and keep it. When all that falls into place, which is almost an absolute necessity if repayment is to fully occur at all, the "prize" demands almost an additional decade of financial sacrifice facilitated by a job that I'm enjoying, but that can make one's personal and family life difficult due to sheer lack of time.